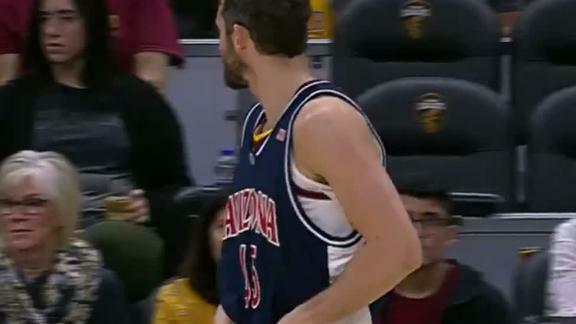 Kevin Love honors Channing Frye by checking into the game wearing Frye's Arizona jersey. Kevin Love scores 26 points, Collin Sexton picks up 22 and Cedi Osman scores 21 as the Cavaliers beat the Knicks 125-118. Kevin Love puts up a double-double with 16 points and 11 rebounds, and Cedi Osman scores 19 points to help the Cavs pull off a 13-point win over the Suns.